Our Advanced course duration is two years, This consists of pencil sketching, watercolours and oil painting. 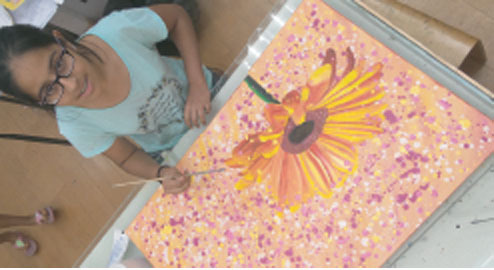 We also introduce modern art and experimental art, students will enhance their knowledge of visual art and drawing skills through out this course. Once this course has been completed, students will not only have gained a deep understanding & skill in visual art, but also be awarded with a certificate of achievement.